In honor of the feature about the artist and his search for cultural integrity preparing to have its World Premiere special Marquee Presentation screening during this month’s San Francisco International Film Festival, ShockYa is exclusively premiering the movie’s poster. 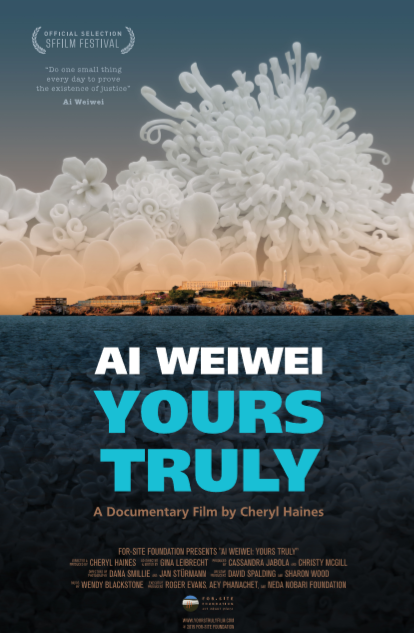 ‘Ai Weiwei: Yours Truly,’ which was directed by Cheryl Haines, is set to premiere during the festival on Sunday, April 14 at 7:30pm PT at the Castro Theatre in San Francisco. Ai Weiwei will be in attendance at the screening.